When CompTIA technology analyst Seth Robinson was researching his new report on the state of cloud computing in July some of the results were puzzling. The 500 business and IT executives who participated reported that their use of SaaS applications had declined since the last time CompTIA completed the survey in 2014. The data ran contrary to claims from every consultant, research firm and tech pundit. The head-scratching stat: 45 percent of CompTIA respondents said they used cloud productivity software, down from 63 percent in 2014; 51 percent consumed cloud email, compared to 51 percent in 2014; and only 35 percent consumed cloud analytics/business intelligence software, a decline from 53 percent two years ago. In all, 12 of the 14 applications CompTIA listed posted declines. “When the data came back it didn’t look like we were marching along the adoption path we’d defined and we didn’t quite know what to make of it,” says Robinson. Robinson ultimately attributed the contrarian statistics to two trends: "cloud washing," or on-premises software rebranded as cloud software, and CIOs' lack of understanding of what constitutes a cloud service. 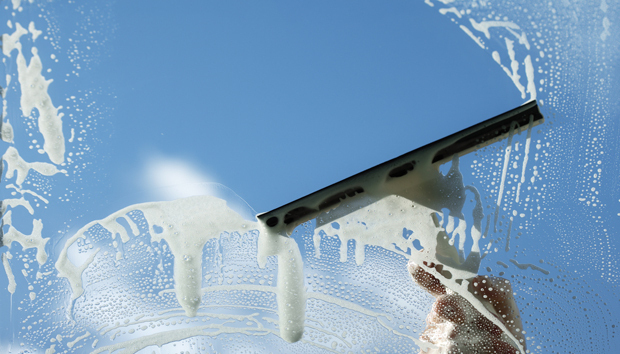 The most basic cloud washing practice includes a vendor that hosts an implementation of their existing packaged software and calls it cloud because they are maintaining it in a virtualized data center. While CIOs appreciate this because they can reduce the cost of maintain the software and hardware on which it runs, the implementation doesn’t provide automated, continuous upgrades, let alone the multitenancy, self-service, auto-scaling and usage-metering capabilities that have come to characterize cloud services, as defined by the National Institute of Standards and Technology. "They pitch it as cloud software just because it's hosted in their data center," says Robinson, who noted that CompTIA clings to NIST’s definition. "They haven't used something like CloudStack or OpenStack or built a proprietary cloud system to do the types of things to do the types of things that Amazon Web Services, Microsoft Azure or Google Cloud are doing." Cloud washing perpetuated as on-premises software providers and implementation partners told CIOs that they were adopting cloud. Some CIOs claimed they were using private clouds when they were actually depending on hosted data centers. So cloud washing perpetuated. Robinson says the lower SaaS adoption numbers from his new study suggest CIOs have a better understanding of what constitutes SaaS, PaaS and IaaS and are becoming more savvy and making more educated technology choices. “They’re adopting cloud … they’re just doing it more intelligently now and they’re asking the right questions,” Robinson says. 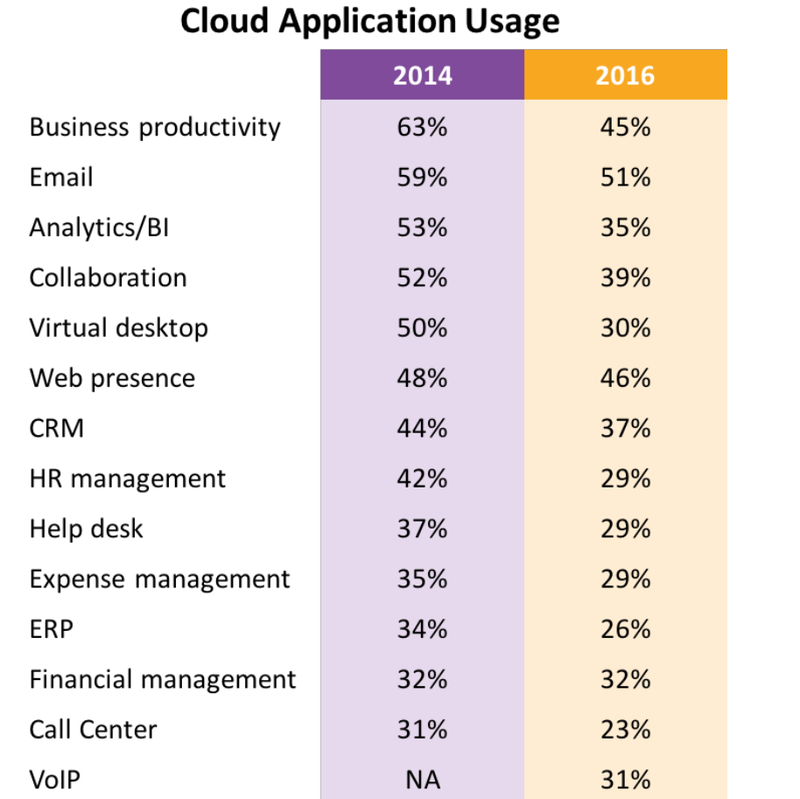 But CIOs are still consuming cloud software. According to the CompTIA study, more than 90 percent of respondents reported using some form of cloud software. At 74 percent, SaaS comprised the largest service model, followed by 42 percent for IaaS and 33 percent for PaaS. Thirty-eight percent of companies characterized their cloud adoption in the non-critical use category, in which they migrate peripheral systems such as HR, versus 27 percent in 2014. 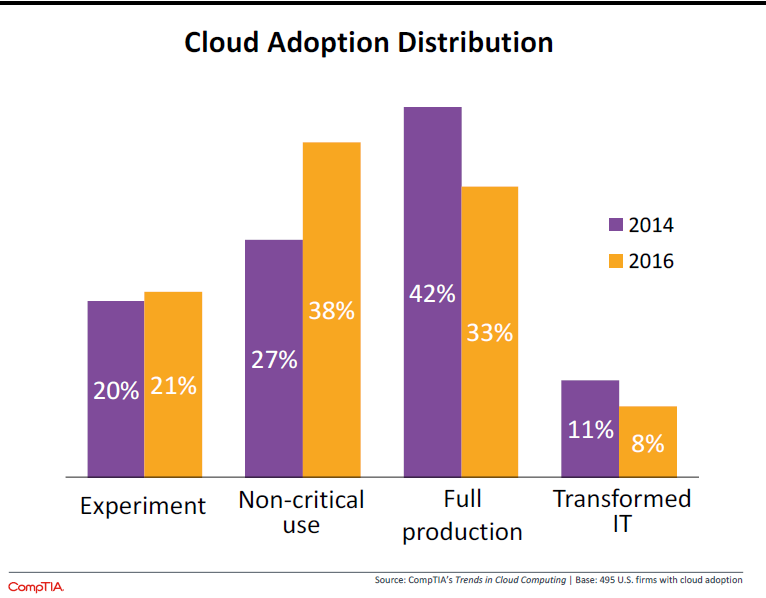 Conversely, respondents who say they implemented cloud services in “full production” mode declined to 33 percent from 42 percent reported in 2014. Robinson says this another example of how CIOs are exercising more caution – and more precise definitions -- when adopting cloud solutions. Global market forecasts suggests cloud computing is growing on all facets. Gartner said earlier this month that the worldwide public cloud services market will grow 17.2 percent in 2016 to total $208.6 billion, up from $178 billion in 2015. The highest growth will come from IaaS, projected to grow 43 percent in 2016, followed by SaaS, expected to grow 22 percent. Hybrid cloud is also seeing a big uptick. A McKinsey survey, also released this month, noted that enterprises are planning to migrate IT systems to a hybrid cloud model at a "significant rate and pace” with off-premises environments seeing the greatest growth in adoption. McKinsey, which surveyed 800 CIOs across several industries, found that 77 percent of companies in 2015 used traditionally built IT infrastructure as the primary environment for at least one workload, but that the percentage of such deployments will drop to 43 percent in 2018.